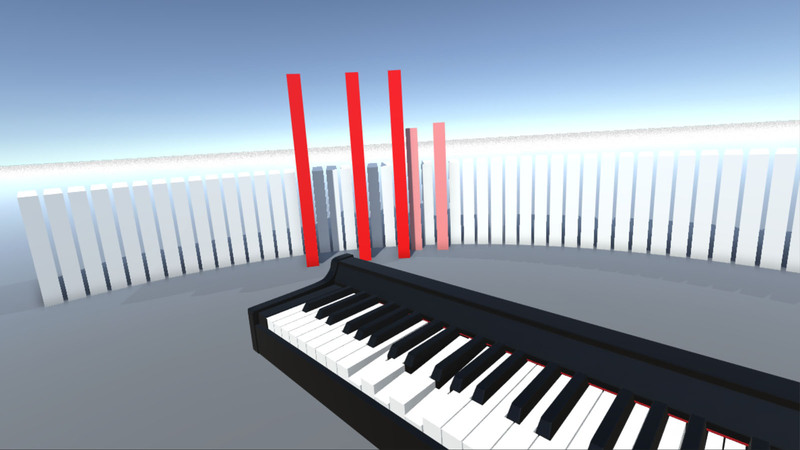 MIDI VR allows anyone to hook a MIDI keyboard into their computer and experience the wonder of watching beautiful, real-time visualisations materialise before them as they play. MIDI is a far more explicit representation of music than the mushy, ill-defined waveform of samples, so visuals can be driven in many more interesting and direct ways from MIDI than they can from traditional audio. The dream with MIDI VR is to be able to have live audiovisual musical performances within VR, bringing people together to experience a new kind of live musical entertainment.